Detailing the physical features, habits, territorial reach and other identifying qualities of the Brown Dog Tick. Brown Dog Ticks are parasites that mainly feed off dogs and may make them sick, but this species has not been found to transmit any diseases to humans. A nuisance to dog kennels, Brown Dog Ticks can live their entire lives indoors, feeding off dogs in confinement and reproducing at will if not controlled by owner/operators. Ticks are able to live up to five months without a feeding in each life stages. A larva (newly hatched), nymph (juvenile) and adult need only one blood meal to continue development or reproduction. At each age, a different host is typical, but in homes, usually the same dog nourishes the tick throughout its life. Their presence can go undetected thanks to their small size and coloring. Female Dog Ticks mate while feeding on the dog and then drop from the host to lay hundreds to thousands of fertilized eggs in cracks and crevices to hide them. The larvae have only 6 legs at this point and are as tiny as seeds (sometimes they are called "seed ticks"). After a blood meal, ticks at every age go from flat to fat. The blood meal is stored inside and their bodies are flexible, allowing them to expand like balloons when they are engorged. This changes their appearance so drastically, people often mistake ticks for different insects. 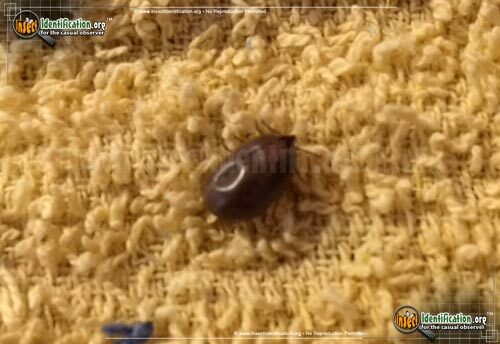 With so many potentially viable larvae, it does not take long for an infestation to occur if hosts are available and the temperature is comfortable. A Brown Dog Tick infestation can cripple a canine business and is the reason why tick guards (like collars or edible chews) are standard protocol at shelters and pet hotels. Brown Dog Ticks can transmit some illnesses to dogs that result in fever, lameness, or anemia. Stopping a tick from feeding in the first place is the best way to eliminate issues form them. There are a variety of tick prevention measures that exist to kill a tick before getting a blood meal. Checking dogs after they spend time outside can also help in heading off any problems with ticks. Feeling along the dog's back, in ears, and around the neck and legs for unusual bumps for a good start, but also check between the toes, in its armpits and in thigh crevices. These are warmer areas on the body and heat attracts ticks looking for warm blood. Brown Dog Ticks have occasionally been found on deer and rodents, but they truly seem to prefer dogs for some unknown reason. They rarely bite humans and are not known to carry Lyme disease or spread any other diseases to humans. Their presence on a dog may cause the animal discomfort, especially if there are many of them on the dog. 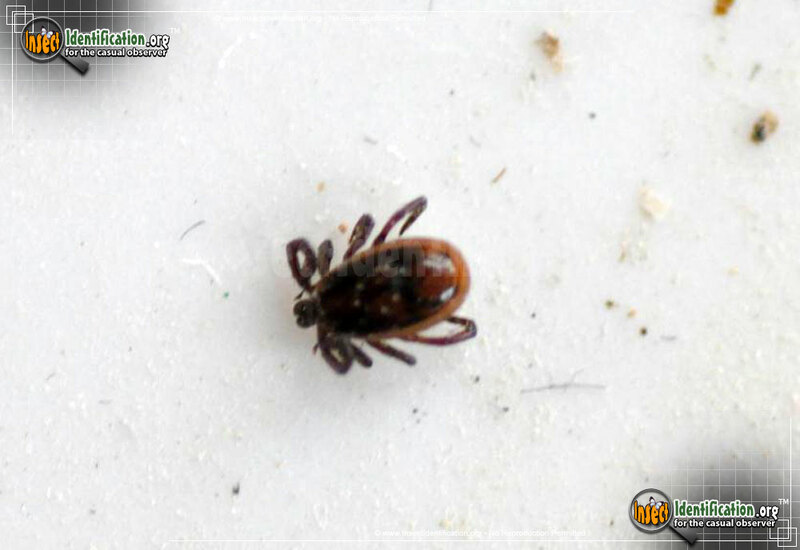 Removing ticks can be done by a veterinarian, who can then monitor the dog for any signs of subsequent illness. An infestation on a dog may require a stay in the vet clinic or repeated treatments for illness caused by vectors passed into the dog's bloodstream by the ticks. An infestation inside a home may require a professional exterminator. Ticks cannot fly. They do not have wings. They cannot jump either. Their eight appendages can hook and grab objects that brush past them, and they ferociously cling to them. Dog hair, clothing, and even bare skin are all surfaces that they can latch on to. They cannot be shaken off; they must be picked off of a surface. If embedded, tweezers are necessary to remove them to ensure the entire head and mouthparts are pulled out of the flesh. They usually roam on the body surface before settling on a suitable bite site. Sometimes they fall off the host before finding one. They have months of patience, however, and will wait for a host on blades of grass, plant leaves or other perches.